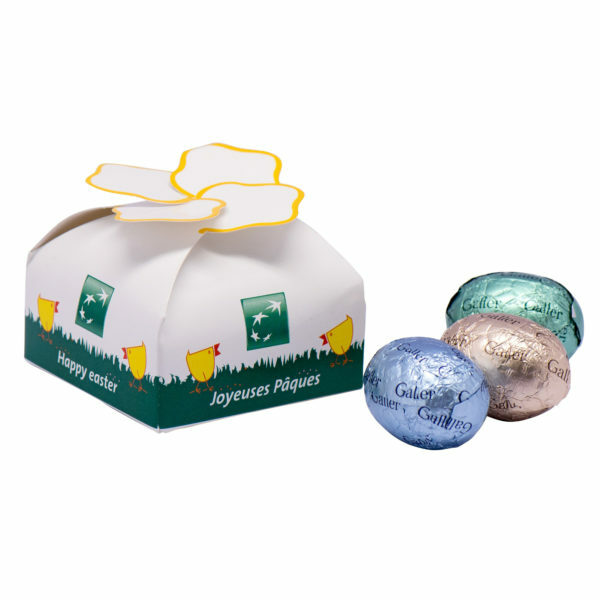 You can have an assortment of carton gift box, personalized, filled with eggs chocolate from Galler. 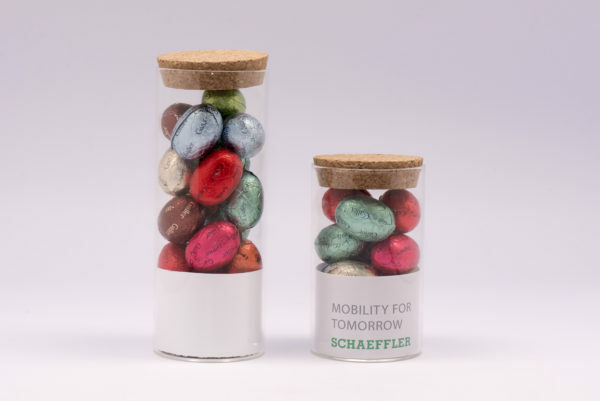 Our Galler belgian chocolates personalized as business gift are a strong communication product for your events. 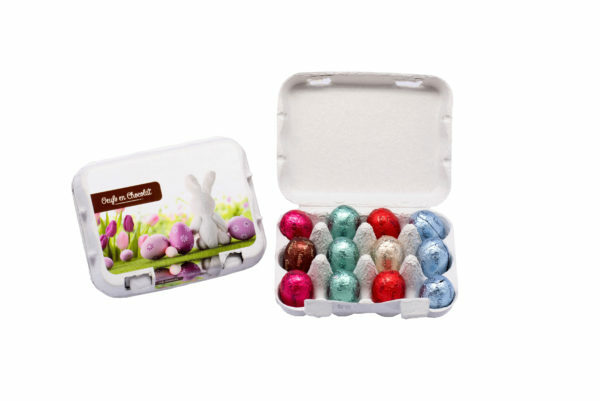 It is the perfect gift for your Easter gifts, on fairs and meetings or anniversaries. You have the possibility to choose between two options of flavours. First option would be : withe praline, crisp white, crisp milk, milk praline, black praline and black vanilla. And the second option would contain: crisp white, white pistachio, milk praline, crisp milk, black vanilla and black raspberry. In addition the size of the box is 18X9,5H4CM (18 eggs). 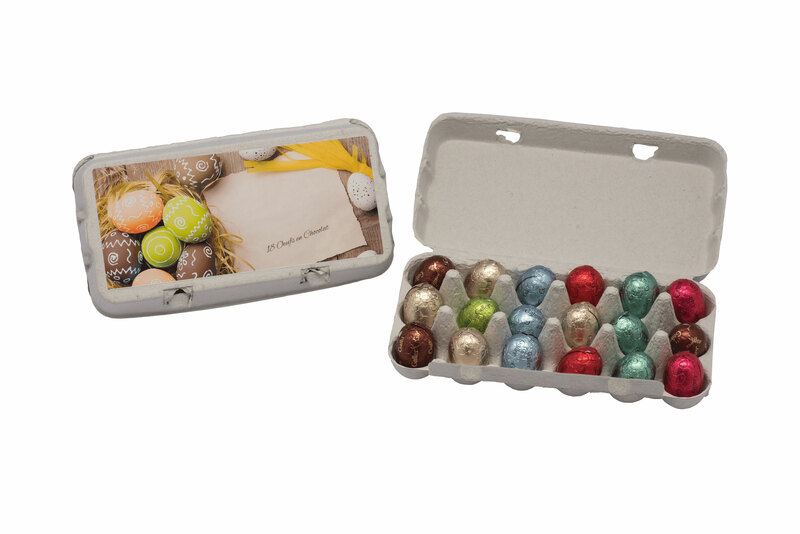 The box color is grey and you can have your logo printed on the lid in 1 to 4 colors. 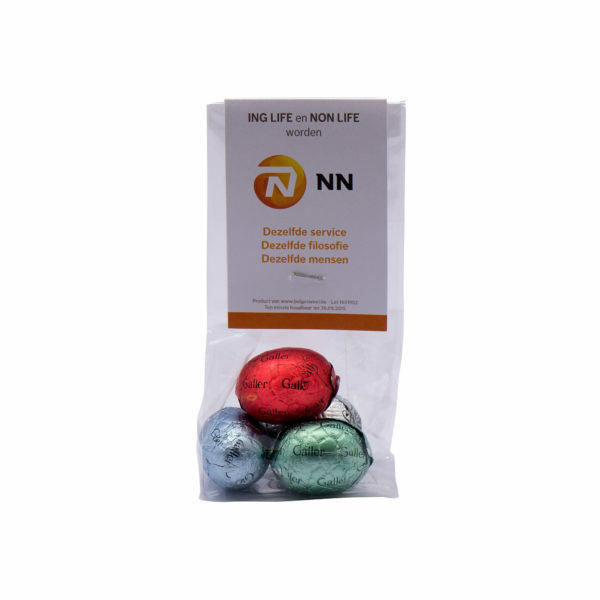 Furthermore,the self life of our Galler chocolate is 6 months. You can also check the Galler’s website.